Herman R. Crume was born December 31, 1912, in Viroqua Twp., Vernon Co., WI, and died April 30, 1970, in Madison, Dane Co., WI, at age 57. Buried in Liberty Pole Cemetery, Franklin Twp., Vernon Co., WI. He is the son of William Isaac Crume of Franklin Twp., Vernon Co., WI, and Melvina Hankins of Wisconsin. Buried in Liberty Pole Cemetery, Franklin Twp., Vernon Co., WI. Ruby Evelyn Mayfield was born July 30, 1915, in Orion Twp., Richland Co., WI, and died November 26, 1999, at St. Mary's Hospital, Madison, Dane Co., WI, at age 84. Buried in Sunset Memorial Gardens, Madison, Dane Co., WI. She is the daughter of Cyrus Lorin Mayfield of Richland Co., WI, and Iva May Abbey of Aldine Twp., Norton Co., KS. Herman R. Crume and Ruby Evelyn Mayfield were married 1933 in Wisconsin. Sharon Elaine Crume: Born December 29, 1934, in Cicero, Cook Co., IL; Died November 28, 2009, at Bloomfield Manor, Dodgeville, Iowa Co., WI (age 74). Buried in Saint Marys Cemetery, Mineral Point, Iowa Co., WI. Married June 3, 1953, at St. Joseph Church, Dodgeville, Iowa Co., WI, to Robert John "Bob" Trace: Born February 4, 1928, in Willow Springs, Lafayette Co., WI; Died November 17, 2012, at his son's home in rural Dodgeville, Iowa Co., WI (age 84). Buried in Saint Marys Cemetery, Mineral Point, Iowa Co., WI. Garth Alan Crume: Born November 12, 1936, in Viroqua, Vernon Co., WI; Died May 28, 1995, in San Diego, San Diego Co., CA (age 58). Married August 5, 1961, in San Diego, San Diego Co., CA, to Marguerite M. "Marge" Murray: Born May 7, 1936, in Chicago, Cook Co., IL; Died July 1, 2001, in San Diego, San Diego Co., CA (age 65). Mavis Ann Crume: Born September 8, 1939, in the City of Viroqua, Vernon Co., WI. Married to William Leroy Tortorice: Born February 17, 1937; Died May 18, 1994, in Broward Co., FL (age 57). Divorced June 18, 1984, in Broward Co., FL. Michael Lorin "Mike" Crume: Born May 9, 1946. Married October, 1967, in Madison, Dane Co., WI, to Florence Hazel "Teence" Marty: Born December 18, 1947, in the Village of Hollandale, Iowa Co., WI; Died September 20, 2003, in Waunakee, Dane Co., WI (age 55). Buried in Roselawn Memorial Park, Monona, Dane Co., WI. Divorced June 3, 1980, in Dane Co., WI. Florence's parents Walter Marty and Hazel Otter. Florence then married Married to William J. "Bill" Weisner: Born April 19, 1946. William was married March 17, 1978, in Dane Co., WI, to Unknown Lennon. Ruby Evelyn (Mayfield) Crume then married Anthony William "Tony" Schaeffer. Anthony William "Tony" Schaeffer was born October 11, 1915, in Detroit, Wayne Co., MI, and died October 21, 1991, at a nursing home, Madison, Dane Co., WI, at age 76. Buried in Sunset Memorial Gardens, Madison, Dane Co., WI. He is the son of Jacob Schaeffer of Hungary and Elizabeth/Lena Unknown of Hungary. Anthony William "Tony" Schaeffer was first married to Rosella Marie Laumer. Rosella Marie Laumer was born September 6, 1919, in Madison, Dane Co., WI, and died March 15, 1983, in Marshall, Dane Co., WI, at age 63. Buried in St. Mary's of the Nativity Cemetery, Marshall, Dane Co., WI. She is the daughter of Martin Alois Laumer of Milwaukee, Milwaukee Co., WI, and Julia Elizabeth Maertz of East Bristol, Columbia Co., WI. Anthony William "Tony" Schaeffer and Rosella Marie Laumer were married 1941 - 1943 in Madison, Dane Co., WI. They lived in Badger Village, a facility for housing students after WWII, located about 35 miles west of Madison. Patrick Martin Schaeffer: Born December 2, 1943, in Dane Co., WI. Married August 1968 in Wisconsin to Sylvia Kazmier: Born May 30, 1948, in Kansas City, MO; Died May 23, 1985, in Froedert Memorial Hospital, Milwaukee, Milwaukee Co., WI (age 37). Divorced January 20, 1975, in Madison, Dane Co., WI. She then married Unknown Becker: Born Unknown; Unknown. Her parents: Mr. and Mrs. Harvey Kazmier, Madison, WI. She had sons: Todd and Sean Schaeffer. Geraldine K. "Gerry" Schaeffer: Born January 3, 1945, in Wisconsin. Married May 22, 1965, in Roxbury, WI, to Eugene O. "Gene" Doherty: Born July 4, 1943, in Unknown; Living in Poynette, WI. Margaret Marie Schaeffer: Born November 8, 1949, in Wisconsin. Married (1) February 8, 1969, in St. Joseph's Catholic Church, Madison, WI, to Stephen Edward Anderson. Divorced January 14, 1975, in Dane Co., WI. Married (2) May 16, 1980, in Dane Co., WI, to Larry Russell O'Donnell: Born January 15, 1962, in Unknown; Living. Divorced about October 15, 1954, in Dane Co., WI. Russell then married Diana Lynne Price (born November 23, 1965) on April 24, 1993, in Dane Co., WI; Divorced about June 12, 2009, in Dane Co., WI. Diana was first married to Kelly Ryan Henry April 30, 1988, in Dane Co., WI. Michael A. Schaeffer: Born November 10, 1952, in Wisconsin. Married December 4, 1976, in Dane Co., WI, to Judith A. Schuster: Born December 9, 1954, in Unknown. Rosella Marie "Rose" Schaeffer: Born May 1, 1954, in Wisconsin; Died October 8, 1998, in Wisconsin (age 44). Married about 1976 to James "Jim" Kalscheuer: Born Unknown. Anthony William "Tony" Schaeffer and Rosella Marie (Laumer) Schaeffer were divorced before 1978 in Wisconsin. Anthony William "Tony" Schaeffer and Ruby Evelyn (Mayfield) Crume were married November 10, 1978, in Madison, Dane Co., WI. Anthony William "Tony" Schaeffer and Ruby Evelyn (Mayfield) (Crume) Schaeffer had no children. Herman R. Crume is buried in Liberty Pole Cemetery, Franklin Twp., Vernon Co., WI. His parents, as well as several other Crume individuals, are also buried there. Thanks to Find-A-Grave for making this image available. Anthony William "Tony" Schaeffer and Ruby Evelyn (Mayfield) (Crume) Schaeffer are buried in Sunset Memorial Gardens, Madison, Dane Co., WI. Thanks to Find-A-Grave for making this image available. Rosella Marie (Laumer) Schaeffer is buried in St. Mary's of the Nativity Cemetery, Marshall, Dane Co., WI. Thanks to Find-A-Grave for making this image available. Robert John "Bob" Trace and Sharon Elaine (Crume) Trace are buried in Saint Marys Cemetery, Mineral Point, Iowa Co., WI. Thanks to Find-A-Grave for making this image available. The 1910 U. S. Census taken on April 19, 1910, shows William Crume (age 41) born in Wisconsin to Illinois and Ohio-born parents is a Home Farm Farmer owning his own farm with a mortgage and is living in Viroqua Twp., Vernon Co., WI. Living with him is his wife of 12 years, Melvina Crume (age 31) born in Wisconsin to Ohio-born parents, with all 4 of the children born to her still alive. Also living there are his four unmarried children, all born in Wisconsin to Wisconsin-born parents: Harold I. Crume (age 10); Harley W. Crume (age 9); Harold I. Crume (age 7); and Olive Crume (age 3). Also living there is William's widowed father, Isaac S. Crume (age 80) born in Illinois to Illinois and Virginia-born parents. Herman R. Crume was born December 13, 1912, in Viroqua Twp., Vernon Co., WI. Ruby Evelyn Mayfield was born July 30, 1915, in Orion Twp., Richland Co., WI. Anthony William "Tony" Schaeffer was born October 11, 1915, in Detroit, Wayne Co., MI. Rosella Marie Laumer was born September 6, 1919, in Madison, Dane Co., WI. The 1920 U. S. Census taken on February 3, 1920, shows William Crume (age 54) born in Wisconsin to Illinois and Wisconsin-born parents is a Farmer owning his own farm with a mortgage and is living in Viroqua Twp., Vernon Co., WI. Living with him is his wife, Melvina Crume (age 41) born in Wisconsin to Ohio-born parents. Also living there are his four unmarried children, all born in Wisconsin to Wisconsin-born parents: Harley Crume (age 18); Harold Crume (age 16); Olive Crume (age 13); and Herman Crume (age 7). The 1920 U. S. Census taken on January 8, 1920, shows Cyrus L. Mayfield (age 42) born in Wisconsin to Wisconsin-born parents is a Farmer owning his own farm in Orion Twp., Richland Co., WI. Living with him is his wife Iva M. Mayfield (age 40) born in Kansas to Canadian and Wisconsin-born parents. Their five youngest children are also living at home, who were all born in Wisconsin: Lucile V. Mayfield (age 16); Leslie W. Mayfield (age 14); Marvin J. Mayfield (age 12); Thelma Mayfield (age 10); and Ruby E. Mayfield (age 4). The 1920 U. S. Census taken on February 6, 1920, shows Martin Laumer (age 30) born in Wisconsin to German-born parents is a Railroad Section Boss owning his home with a mortgage and is living on Windsor Street, Morrisonville, Windsor Twp., Dane Co., WI. Living with him is his wife, Julia Laumer (age 31) born in Wisconsin to Wisconsin-born parents. Also living there are his four children, all born in Wisconsin to Wisconsin-born parents: Isabel Laumer (age 7); Carol Laumer (age 5); Florentine Laumer (age 3-8/12); and Rosella Laumer (age 5/12). The 1920 U. S. Census taken on January 13, 1920, shows Barbara Berzeny (age 43) born in Hungary to Hungarian-born parents and a Naturalized citizen is a widowed Laundress owning her home with a mortgage and is living at 1519 Garland Avenue, 21st Ward, Detroit, Wayne Co., MI. Boarding with her are: Jacob Schaefer (age 37) born in Hungary to Hungarian-born parents and applied for citizenship, a married Factory Laborer; Elizabeth Schaefer (age 32) born in Hungary to Hungarian-born parents and applied for citizenship, a married Laundress for a Private Family; Lena Schaefer (age 6) born in Michigan to Hungarian-born parents; and Tony Schaeffer (age 5) born in Michigan to Hungarian-born parents. The 1930 U. S. Census taken on April 9, 1930, shows William Crume (age 62) born in Wisconsin to Illinois and Ohio-born parents and first married at age 30 is a General Farm Farmer owning his own farm and is living in Viroqua Twp., Vernon Co., WI. Living with him is his wife, Melvina Crume (age 51) born in Wisconsin to Ohio-born parents and first married at age 20. Also living there is his unmarried son, Herman Crume (age 17) born in Wisconsin to Wisconsin-born parents, a General Farm Laborer. The 1930 U. S. Census taken on April 6, 1930, shows Cyrus L. Mayfield (age 52) born in Wisconsin to Wisconsin-born parents is a dairy farmer owning his own farm in Orion Twp., Richland Co., WI. Living with him is his wife Ivy M. Mayfield (age 51) born in Kansas to Canadian and Wisconsin-born parents. They were married at ages 22 and 20 respectively. Also living at home are two Wisconsin-born children: Marvin J. Mayfield (age 22); and Ruby E. Mayfield (age 14). The 1930 U. S. Census taken on April 18, 1930, shows Jacob Schaeffer (age 42) born in Germany to German-born parents and having emigrated in 1910 and a Naturalized citizen is a widowed Furrier in a Fur Shop who is renting his home for $35/month and is living at 3706 Benson Avenue, 13th Ward, City of Detroit, Wayne Co., MI. Living with him is his unmarried son, Anthony Schaeffer (age 15) born in Michigan to German-born parents, who is a Helper in a Fur Shop. A Roomer also lives in the Household. The 1930 U. S. Census taken on April 16, 1930, shows Martin Laumer (age 41) born in Wisconsin to German-born parents and first married at age 23 is a Moulder at a Machine Company owning his home free of a mortgage and is living at 15 North Brady Street, 7th Ward, City of Madison, Dane Co., WI. Living with him is his wife, Julia Laumer (age 42) born in Wisconsin to Wisconsin-born parents and first married at age 24. Also living there are his five unmarried children, all born in Wisconsin to Wisconsin-born parents: Isabelle Laumer (age 17), a Servant at a Private Family; Caroline Laumer (age 15); Florentine Laumer (age 13); Rosella Laumer (age 10); and Helen Laumer (age 7). The 1940 U. S. Census taken on April 17, 1940, shows Herman Crume (age 27) born in Wisconsin, and 5 years ago was living in the Same Place, and with 8 years of School, is a married Rough Carpenter for a Building Contractor who is renting his home for $10/month and is living at 424 East Decker Street, 3rd Ward, City of Viroqua, Vernon Co., WI. Living with him are: his wife, Ruby Crume (age 24) born in Wisconsin, and 5 years ago was living in the Same Place, and with 2 years of High School; his daughter, Sharon Crume (age 5) born in Illinois, and 5 years ago was living in the Same Place; his daughter, Garth Crume (age 3) born in Wisconsin; and his daughter, Mavis Crume (age 2/12) born in Wisconsin. The 1940 U. S. Census taken on Unknown Date, 1940, shows Martin Laumer (age 50) born in Wisconsin, with parents both born in Germany and the language spoken in home in earliest childhood being German, and 5 years ago was living in Madison, Dane Co., WI, and with 7 years of School, is a married Repair Man for the Natural Gas and Electric Company who owns his home worth $2,500 and is living at 15 North Ingersoll Street, 7th Ward, City of Madison, Dane Co., WI. Living with him are: his wife, Julia Laumer (age 52) born in Wisconsin, and 5 years ago was living in Madison, Dane Co., WI, and with 7 years of School, a Housewife; his unmarried daughter, Isabelle Laumer (age 28) born in Wisconsin, and 5 years ago was living in Madison, Dane Co., WI, and with 6 years of School, a Companion for Mrs. Zweifel; his unmarried son, Florentine Laumer (age 24) born in Wisconsin, and 5 years ago was living in Madison, Dane Co., WI, and with 4 years of High School, a Filling Station Attendant; his unmarried daughter, Rosella Laumer (age 20) born in Wisconsin, and 5 years ago was living in Madison, Dane Co., WI, and with 4 years of High School, a Casing Sewer at Oscar Meyer; and his unmarried daughter, Helen Laumer (age 17) born in Wisconsin, and 5 years ago was living in Madison, Dane Co., WI, and with 3 years of High School. Anthony William "Tony" Schaeffer and Rosella Marie Laumer were married 1941 - 1943 in Madison, Dane Co., WI. Melva Irene (Mayfield) (Sladek) Egelhof died August 17, 1969, in Dodgeville, Iowa Co., WI, at age 69. Buried in Saint Joseph Cemetery, Dodgeville, Iowa Co., WI. DODGEVILLE - Mrs. Melva Egelhof, 69, died Sunday at her home here after suffering an apparent heart attack. Surviving in Madison is a sister, Mrs. Herman Crume, 2530 Upham St. Other survivors include her mother, Mrs. Iva Mayfield, Dodgeville; two brothers, Leslie Mayfield, Ontario, and Marvin J. Mayfield, International Falls, Minn., and another sister, Mrs. Claude Thompson, Weaver, Iowa. The funeral will be at 11 a.m. Tuesday in the Lulloff Funeral Home, Dodgeville, where friends may call after 4 p.m. today. 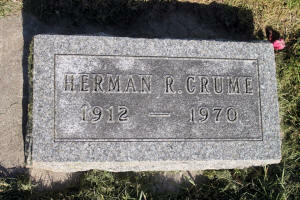 Herman R. Crume died April 30, 1970, in Madison, Dane Co., WI, at age 57. Herman R. Crume, 57, of 2530 Upham St., died Thursday in a Madison hospital after a brief illness. He was born in 1912 in Viroqua and had been a Madison resident for the past 16 years. He was a carpenter for the Findorff Construction Co. Surviving are his wife, the former Ruby Mayfield; two sons, Garth, San Diego, Calif., and Michael, 225 La Follette Ave.; two daughters, Mrs. Robert Trace, Rt. 2, Dodgeville, and Mrs. William Tortorice, Pompano Beach, Fla.; a brother, Howard, Viroqua; and 14 grandchildren. The funeral will be at 10 a.m. Saturday in the Gunderson Funeral Home, 5203 Monona Dr., where friends may call after 4 p.m. today. There will be graveside services at Liberty Pole, Wis., at 1:30 p.m. Saturday. Rosella Marie (Laumer) Schaeffer died March 15, 1983, in Marshall, Dane Co., WI, at age 63. Rosella Schaeffer, age 63 of rural Marshall, died on March 15, 1983 at a Madison hospital. She was born in Madison, September 6, 1919. Survivors include two sons, Patrick of Green Bay and Michael of Sun Prairie; three daughters, Ms. Eugene (Geraldine) Doherty of Poynette, Mrs. Larry (Margaret) O'Donnell of DeForest, and Mrs. Jim (Rosella) Kalscheuer of Madison and 2 sisters Isabella Laumer of Madison, and Mrs. Robert (Helen) Rammer of Sheboygan; and 12 grandchildren. Funeral services will be held at St. Mary's Catholic Church, Marshall, at 9:30 a.m. on Friday, March 18. Rev. Archie Adams will officiate. Burial will be in St. Mary's Cemetery. Friends may call at the Hart Funeral Home after 5:00 p.m. on Thursday, where a rosary will be held at 7:30 p.m.
Anthony William "Tony" Schaeffer died October 21, 1991, in a nursing home, Madison, Dane Co., WI, at age 76. MADISON - Anthony "Tony" Schaeffer, age 76, of Madison died on Monday, October 21, 1991, at a local nursing home after a long illness. He was employed by the State Historical Society until he retired in 1979. Tony married the former Ruby Crume on November 10, 1978. There will be no services. Burial will be in Sunset Memorial Gardens Cemetery. Ruby Evelyn (Mayfield) (Crume) Schaeffer died November 26, 1999, at St. Mary's Hospital, Madison, Dane Co., WI at age 84. MADISON - Ruby Schaeffer, age 84, died on Friday, November 26, 1999 at St. Mary's Hospital after a long illness. She was born on July 30, 1915 in Richland Center, Wisconsin to Cyrus and Iva Mayfield. Ruby was united in marriage to Herman Crume, and were blessed with four children. He preceded her in death on October 21, 1991. Ruby worked at W. T. Rogers Co. for 21 years, retiring in 1979. She is survived by her daughters, Sharon (Robert) Trace of Dodgeville, Wisconsin, Mavis Tortorice of Ft. Lauderdale, Florida; and son, Michael (Friend Rhonda Schwenn) Crume of Cottage Grove, Wisconsin; 14 grandchildren; and 21 great grandchildren. She was preceded in death by her parents; son, Garth Crume in 1994; brothers, Leslie and Marvin; and sisters Melva, Lucille, and Thelma. No funeral service will be held keeping with Ruby's wishes. Sharon Elaine (Crume) Trace died November 28, 2009, at Bloomfield Manor, Dodgeville, Iowa Co., WI, at age 74. Buried in Saint Marys Cemetery, Mineral Point, Iowa Co., WI. DODGEVILLE - Sharon Elaine (Crume) Trace, age 74, passed away peacefully the morning of Saturday, November 28, 2009, at Bloomfield Manor. She was born on December 29, 1934, in Cicero, Ill. Sharon was one of four children born to Herman and Ruby (Mayfield) Crume. She married Robert John Trace on June 3, 1953, at St. Joseph Catholic Church, in Dodgeville. In their younger years, she and her husband enjoyed square dancing with their friends. She also spent her time caring for her family, gardening, and cooking. She enjoyed playing solitaire, with her husband, each morning. Sharon had an active role raising her grandchildren. She always put others before herself and never hesitated to care for those in need. She will be greatly missed by her family, friends and her cat, 'Kitty Kat'. Sharon is survived by her husband of 56 years, Robert; five of her six children, John (Ann) Trace of Linden, Mary (Dave) Ganshert of Seminole, Fla., Steve (Sue) Trace of DeForest, Dennis (Karen) Trace of Dodgeville, Michelle (Doug) Jewell of Oregon; her daughter-in-law, Chris Trace of Dodgeville; fifteen grandchildren; eight great-grandchildren (soon to be nine); a brother, Michael Crume; a sister, Mavis Crume. She is also survived by several brothers-in-law and sisters-in-law. She was preceded in death by her parents; brother, Garth Crume; in-laws, John and Mary (Steffes) Trace; and a son, Joseph Trace, in 1985. A Memorial Mass will be celebrated at 11:30 a.m., on Wednesday, December 2, 2009, at ST. JOSEPH' S CATHOLIC CHURCH in Dodgeville. Friends may call, from 4 p.m. until 8 p.m., on Tuesday at the GORGEN-McGINLEY & AYERS FUNERAL HOME in Dodgeville, and from 10:30 a.m., until time of mass on Wednesday at the church. In lieu of flowers, memorials can be made to St. Joseph's School. CRUME, MARGUERITE M. Marge, 65 passed away quietly Saturday July 7,2001 from cancer. She was retired from Aging & Independent Services and loved to read, go to the movies, do crossword puzzles with her friends and look at her garden of Irises. She loved the show "The West Wing" and her favorite channel was HGTV. She was loved by all that knew her and will be missed dearly. A daughter Theresa Crume of San Diego, a son Michael Crume and his wife Donna of La Mesa survive her. She had four grandchildren: Jennifer and her husband Juan, Heather, Little Donna, and Stella and one great-granddaughter, Emily Nicole. She had many loving friends and she loved animals and had two dogs. D.C. & Pavarotti. She is survived by a sister Barbara Ann Devine and husband John of Illinois, Sister-In-Laws: Sharon Trace and husband Bob of Wisconsin, Mavis Tortorice of Florida and brother-in-law Mike L. Crume and fiancee Rhonda also of Wisconsin, and many nieces and nephews. She was preceded in death by her husband Garth Alan, and parents Evelyn and Arthur Murray. Please send any donations in her memory to San Diego Hospice, 4311 Third Avenue, San Diego CA 92103-1407. Madison General Hospital, Monday, November 10, 1952, a son to Mr. and Mrs. Anthony Schaeffer, Route 1, De Forest. Garth Alan Crume died May 28, 1995, in San Diego, San Diego Co., CA, at age 58. CRUME - Garth A., 58, passed away May 28, 1995. Survived by wife Marguerite, son Michael, daughter Theresa, mother-in-law Evelyn Murray of San Diego. Mother Ruby Schaeffer, sister Sharon Trace, brother Michael of Wisconsin. Sister Mavis Tortorice of Florida, & numerous nieces & nephews. Robert John "Bob" Trace died November 17, 2012, at his son's home in rural Dodgeville, Iowa Co., WI, at age 84. Buried in Saint Marys Cemetery, Mineral Point, Iowa Co., WI. 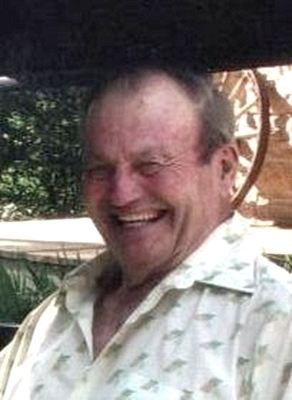 Fodor, Richard, 74, of Lake Placid passed away Wednesday evening March 19, 2008 at his residence. He was born on September 25, 1933 in Elizabeth, New Jersey. A retired Law Enforcement Officer with the Sea Ranch Lakes Police Department. He moved to Lake Placid 5 years ago from Ft. Lauderdale and was of the Catholic faith. Mr. Fodor is survived by two loving sons, a sister Joan M-Fodor, and loving companion of 25 years Mavis Tortorice. Private services were held for the family. The family suggest donations be made in his memory to the Good M-Shepherd Hospice, 4418 Sun 'N Lake Blvd., Sebring, FL 33872. Arrangements entrusted to the SCOTT FUNERAL HOME, Lake Placid, FL, 863-465-4134. WAUNAKEE - Florence H. "Teence" Weisner, age 55, loving wife, mother, and grandmother, died after a brave battle with cancer on Saturday, Sept. 20, 2003. She has taken her "Power of Love" to a higher being. She was born on Dec. 18, 1947, in Hollandale, to Walter and Hazel (Otter) Marty. Florence was an avid golfer and Badgers fan. Survivors include her husband, Bill of Waunakee; her son, Brian of Madison; her daughter, Martie of Madison; her mother, Hazel of Madison; her sisters, Diane (Pete) Petersen of Evansville, Brenda (Steve) Jones of McFarland, Kathy (Bob) Jenkins of Mineral Point, Roxanne (Hank) Zimmerman of Stoughton, and Doreen Mott of Stoughton; her brothers, Dennis (Alice) and Bob (Karen); and her pride and joy, her grandson, Travis. She was preceded in death by her father, Walter. A Memorial service will be held on Wednesday, Sept. 24, 2003, at 11 a.m. at ST. BERNARD'S CATHOLIC CHURCH, 2450 Atwood Ave., Madison. The Rev. Monsignor Michael Hippee will officiate. Friends may call at the church on Wednesday from 10 a.m. until the time of services. Winn Funeral Home 5785 Highway Q Waunakee, Wis.